This article provides an overview of the process used to create a Dimensioned Report using a batch-collected Dimension. This article outlines additional items required to setup a Dimensioned report. 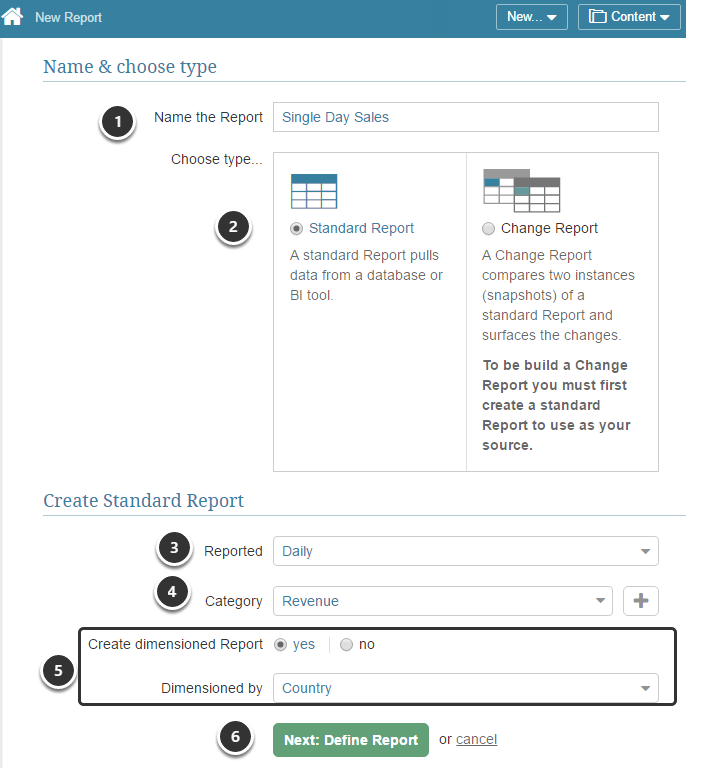 For other option, see Create a Simple (Undimensioned) Report. You must first Create a Dimension with Automatically Collected Values before following the process described in this article. 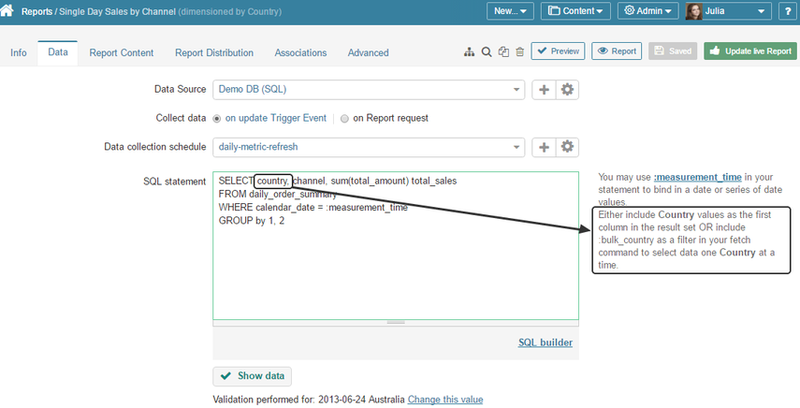 NOTE: The first column returned by the data fetch command should be the Dimension value. There is NO Dimension Total in the Dimension Value pick list on a Report. For a Dimensioned Metric there is a clear way to generate the Dimension Total Chart by summing all the individual Dimension Values for additive Measures only. Since Reports often show data across multiple Dimensions and often contain some data that is additive and some that is not, there is no logical method of determining how to build the data set to support a Report's Dimension Total version.